In 2013, newly elected Liberty County Sheriff Nick Finch walked into his own jail and released Floyd Eugene Parrish, who had been arrested earlier in the day for carrying a loaded, concealed weapon in his car. Finch said he was freeing Parrish because he believed the Second Amendment trumped Florida gun laws. Finch was subsequently charged with official misconduct because he allegedly destroyed arrest records, and suspended from his post by Gov. Rick Scott. He quickly became a cause célèbre on the radical right, with groups like the Oath Keepers, the Constitutional Sheriffs and Peace Officers Association, and the John Birch Society backing him and some of them raising money for his defense. Although prosecutors argued that Finch couldn’t decide which laws he wanted to enforce, and that he was repaying the Parrish family for their support in his campaign for office, a jury acquitted the sheriff. The acquittal apparently hinged on the lack of proof that Finch actually removed or whited-out arrest records. Scott then immediately reinstated Finch in his post. But this Monday, Sept. 26, Parrish was arrested again — this time for second-degree murder. 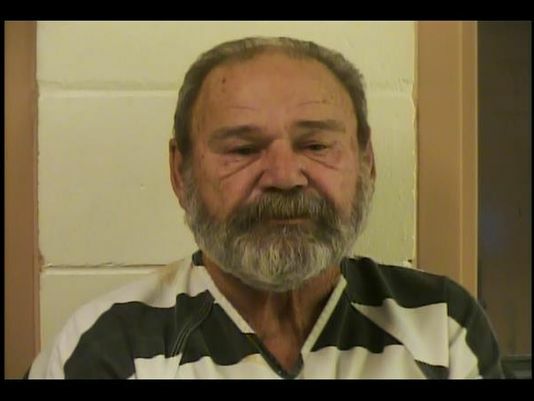 Officials allege that Parrish, 61, got into an argument late the night before with visitor James Lester Nesmith, 53, and shot him to death. Parrish’s girlfriend and another man were also in Parrish’s bedroom at the time of the killing. “I did it, take me to jail,” Parrish told arriving deputies, according to arrest documents. Sheriff Finch has been a national hero for the so-called constitutional sheriffs movement, which the Southern Poverty Law Center detailed in a recent cover story in its Intelligence Report. The movement is known for encouraging county sheriffs to enforce only those laws that they believe are constitutional, although legal experts say that is not the sheriff’s decision to make. It is also keenly focused on the defense of gun rights, to the extent that a number of adherent sheriffs told the Report that they might resist any new federal gun control laws with weapons. 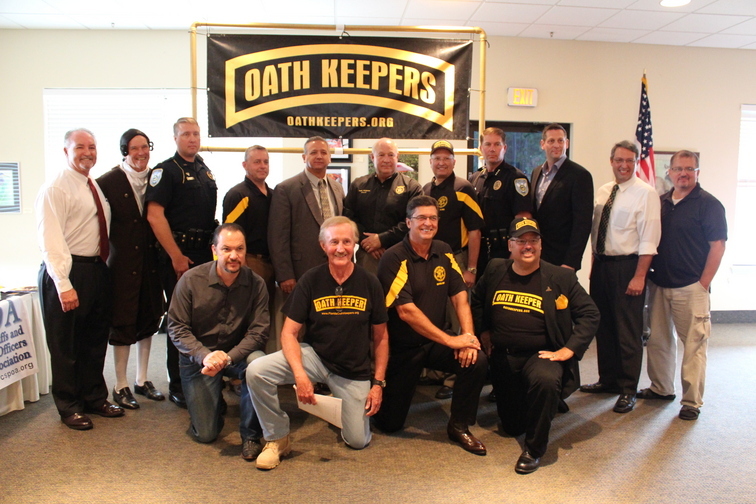 Florida Sheriff Nick Finch (back row, middle, wearing a suit and tie) with members of the Oath Keepers including founder Elmer Stewart Rhodes (back row in blue polo) and Richard Mack (front row, center) in 2013. The Oath Keepers rallied to Finch's side after Gov. Rick Scott suspended the sheriff for unilaterally releasing Parrish. Now James Nesmith is dead, shot to death with two bullets from a small-caliber pistol similar to the one that Parrish was carrying in his pants pocket when he was arrested in 2013. And Parrish’s attorney, Ryan Andrews, is already claiming that the arrest was “purely political” because the charges were brought by the Florida Department of Law Enforcement (FDLE), which Sheriff Finch asked to investigate the case. 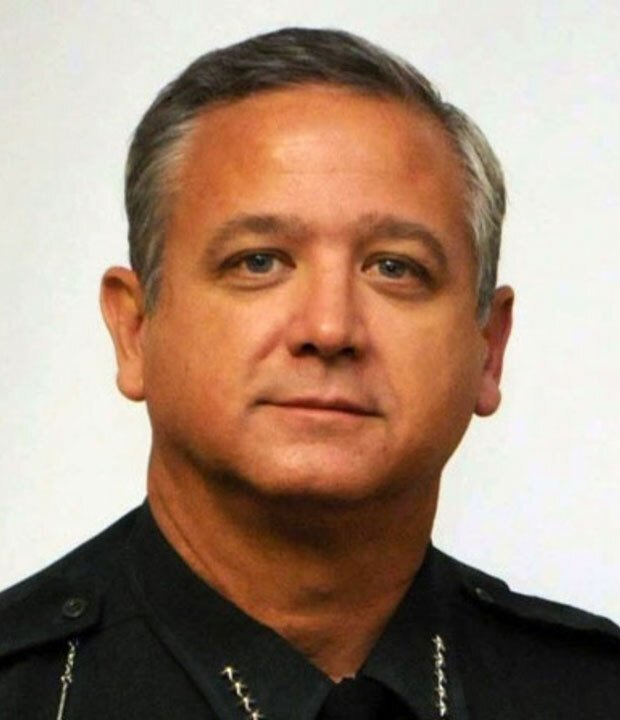 The FDLE is the same agency that investigated Finch’s freeing of Parrish, and has been accused by gun rights extremists of persecuting Finch. Soon enough, extremists will surely be echoing Andrews’ claims.